The app's user interface is everything what user see and interact with on its electronic device. Great number of touch screen smartphones and tablets now work under the Linux-based Android operating system. Android UI design is a daunting process which requires certain knowledge, abilities and skills from Android developers and designers. 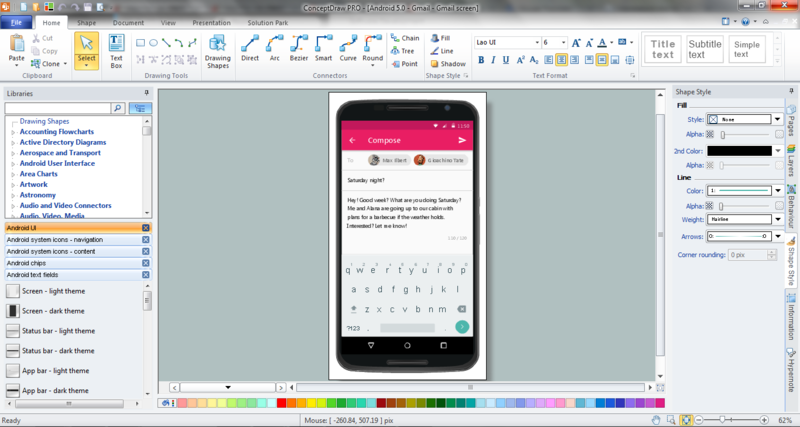 Now it is available the special Android UI design tool - ConceptDraw DIAGRAM diagramming and vector drawing software supplied with Android User Interface Solution from the Software Development Area of ConceptDraw Solution Park. Android User Interface Solution offers wide set of predesigned samples and examples, and 30 libraries with 1088 ready-to-use vector objects which make ConceptDraw DIAGRAM a powerful Android UI design tool. 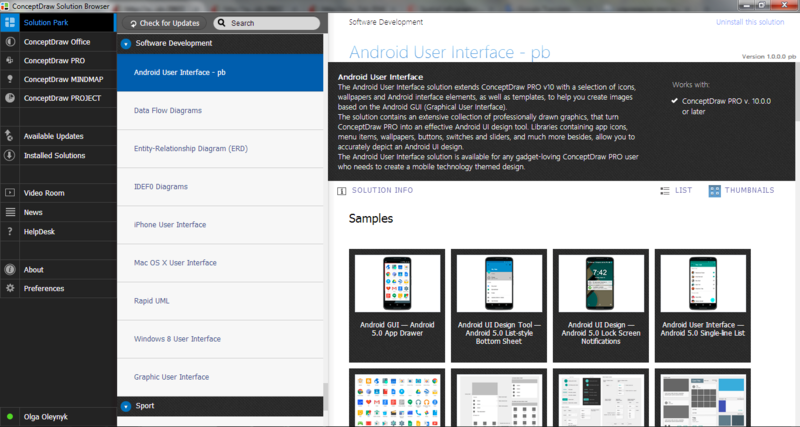 All Android UI design samples are available from ConceptDraw STORE. Each of predesigned samples is well thought-out and can be used as is or as the base for development your own Android UIs. 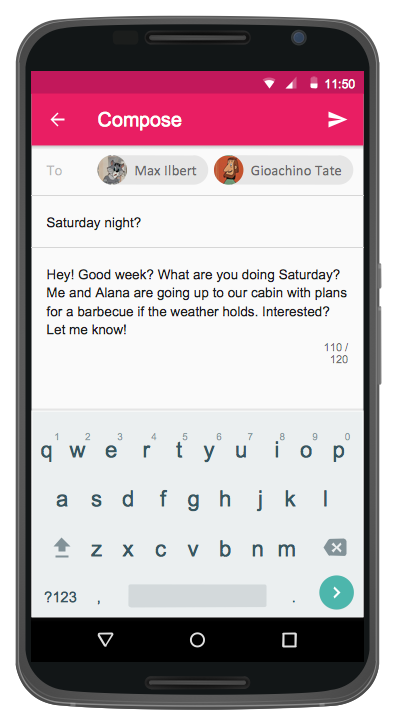 This sample was created in ConceptDraw DIAGRAM using the objects from the libraries of Android User Interface Solution and shows the Android UI for the Gmail application. An experienced user spent 10 minutes creating this sample. Use ConceptDraw DIAGRAM Android UI Design Tool for designing your own interfaces and UI prototypes for Android operation system quick and easy.